Real Estate Investing or the Stock Market: What is Your Best Option? “Why is owning a rental property smarter than investing in the stock market?” This a common question we hear from would-be property investors. Some people object to real estate investing because they think it will take up too much of their time and will therefore produce lower net returns than investing in stocks would. Still, so many savvy investors are investing in real estate – why is that? There is, of course, the obvious perk of diversifying the way they make their income; there are also FOUR benefits to investing in real estate, while stocks only give a fraction of those benefits. 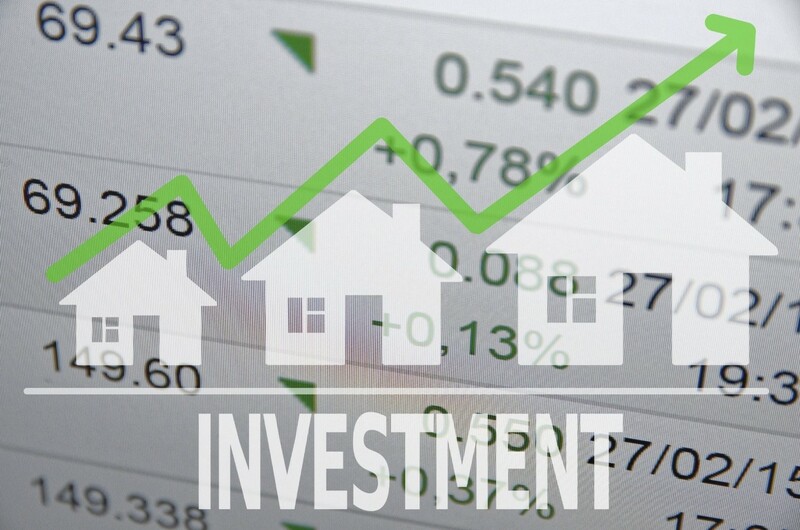 Income is a big advantage that real estate investments have over stock investments. Income is defined as the profit that is left over after any other debts and expenses have been paid. So, in this case, that would be any remodels, updates, or general fixes before the house is able to be rented. Rental properties offer monthly income or “cash flow” that most stocks do not offer. Real estate investing uses leverage, or a loan against the initial purchase of the property, to put a portion of the monthly mortgage payment toward two things: to pay the interest and to go toward the equity. For anyone who owns a home, this should seem like familiar territory. However, there is a twist in that the mortgage payment isn’t coming out of your pocket, but rather the tenant is buying the building for you. If you think about it in those terms, it seems great because when was the last time someone offered to buy stock for you? The greatest benefit is that you get tax benefits as well. Owning a rental is one of the most powerful tax benefits that you can get. Even if you are making money, depreciation on the property allows you to claim a loss. So in other words, you are making money but still get to claim a loss. Over time, this will fade slowly, but then you can do something else to help with your taxes. Then you can use a 1031 exchange when you want to sell the property. After that, you can buy a different one without paying any tax on capital gains. Then you can start the process all over again. Now of course we do not recommend you do this on your own, but with the right guidance and accountant, it is simple. Appreciation is a pretty common term, it is when you can sell an asset and make back more money than you paid for it. It is the reason people buy into the stock market. However, many people don’t think that will happen with real estate, which isn’t true. Real estate will appreciate as the real estate market continues to inflate. Now, of course you have to watch the economy, but savvy investors stand to make a good buck from this type of buying and selling. But isn’t real estate a lot more work than stocks? It doesn’t have to be. If you are paying for the property and taking care of it, then yes, it is more work. You will have to do the maintenance and answer every call your tenant has. But it doesn’t have to be that way. You can hire a professional property manager who can do everything for you, and increase your rate of return. Think of a property manager as your stock broker. Even once you pay manager fees, with a good management company, you will be seeing great income. This is because a property management company will make your tenants happier so they stay longer, cut down on vacancy time, resolve problems quickly, and even work to get you the best maintenance costs. To summarize, rental properties and stocks both have a lot of advantages, it really depends how you play your cards; and who you have to advise you to determine whether or not it will be worth it for you. At Real Property Management SUPERSTARS in Orlando, Florida, we have your best interest in mind and are ready to be your Central Florida professional property manager, so give us a call today @ 407-675-3242.